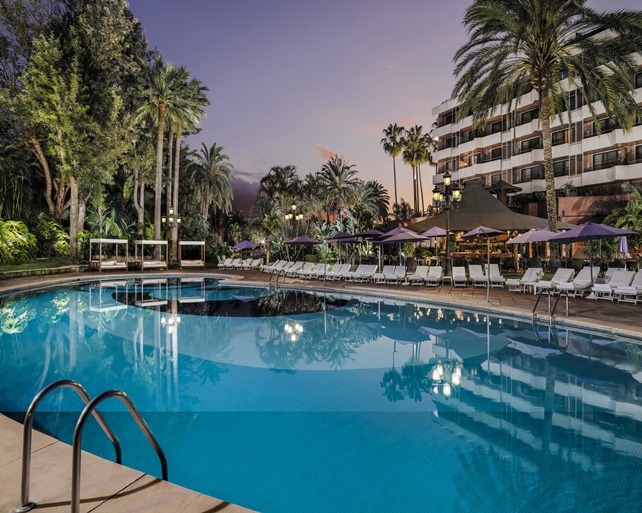 One of the most prestigious properties in the Canaries, this luxury hotel is surrounded by landscaped gardens with views of the Atlantic and Tenerife’s Mount Teide. One of the Botanico’s most attractive features is its 3,500 m² adults-only spa, including indoor and outdoor thermal pools, underwater massage treatments and Japanese saunas. Another advantage is the extensive sports facilities, which feature tennis courts and a 5,000 m² putting green. During the summer months the hotel also offers activity programmes, such as live animal shows, designed especially for children. 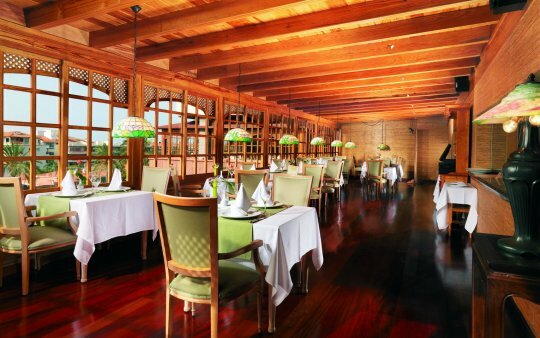 Throughout the property you will find different dining options which range from local Spanish to Asian. 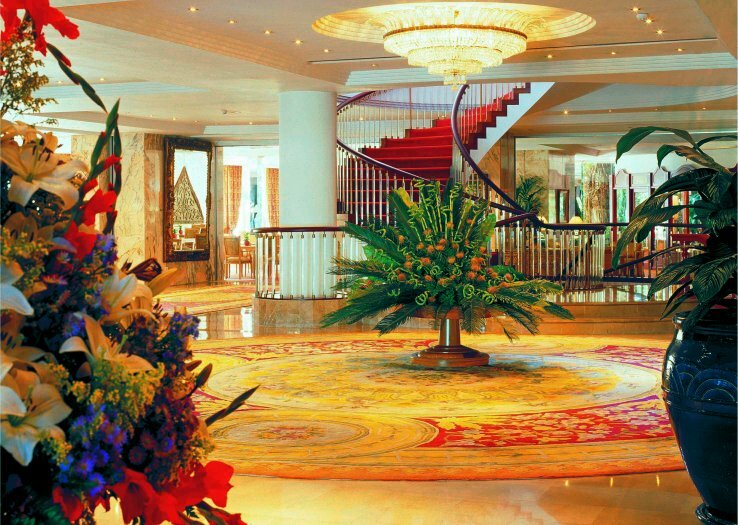 This exquisite resort is located in Puerto de la Cruz. It is surrounded by the exclusive La Paz residential district, opposite the historic botanical gardens. The city’s historic centre is just a 1.5 km walk away. 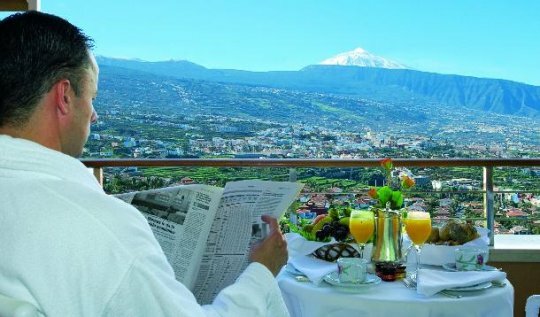 Take in the stunning views of the ocean and extinct volcano of Teide from your own furnished balcony. All rooms come equipped with flat-screen satellite TVs and marble bathrooms. 40 Junior Suites Ambassador, specially designed and tastefully decorated, offer a large dressing rooms and bathrooms, and an atmosphere of spacious comfort, overlooking the Atlantic ocean or the SPA. 6 stunning penthouse suites and 5 attic rooms, located on the top floor with views of Mount Teide, ensuring total privacy, each with spacious terraces, and two suites with Jacuzzi. All suites are decorated with paintings and exclusive property of renown. 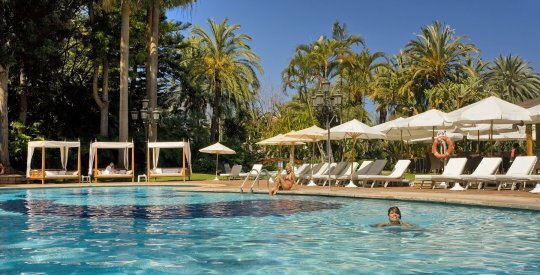 All rooms have a magnificent view of our well-tended garden, the Orotava Valley and Mount Teide and the Atlantic Ocean near their coasts, and have air conditioning, individually adjustable. 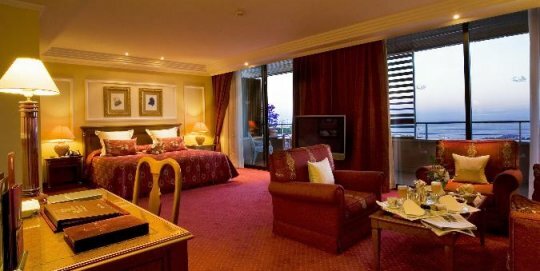 The Royal Suite and Botanical Suite (420 m²) is separated from all other suites and 3 bedrooms with separate bathrooms and changing rooms, a spacious living room, dining room, kitchen, bath bubbles and entry. A terrace of 160 m² around the Suite, with spectacular views of the Atlantic and the Orotava Valley. The hotel features 3 main restaurants. La Parrilla serves typical Canarian and other Spanish dishes. 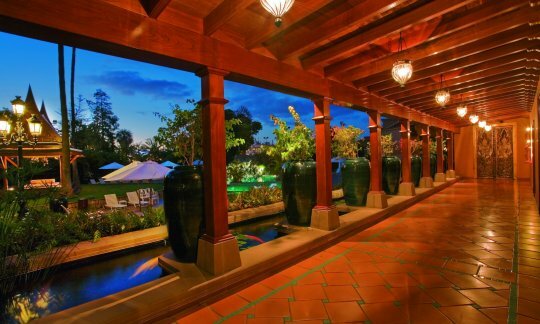 Italian and Mediterranean cuisine is served in Il Pappagallo and The Oriental offers Asian-style fine dining. Each is open 5 different days a week. Light lunches are also served by the poolside, and the a spa restaurant serves calorie-controlled meals. The BAR HALL offers a permanent exhibition of painting Canaria the nineteenth and twentieth centuries, while allowing the customer to contemplate the lush flora Tenerife through the panoramic windows. At night the Bar Hall becomes the meeting point to take an appetizer and enjoy the professional shows and live music. Customers have a luxurious boutiques where you can find clothing and jewelry designs. For those who want to read a book or play Monopoly, you can do in our reading area, where there is also a pool table in the area of mezzanine floors. Room Service, Meeting/Banquet Facilities, Business Centre, Laundry, Dry Cleaning, Barber/Beauty Shop, VIP Room Facilities, Breakfast in the Room, Ironing Service, Bridal Suite, Currency Exchange, Car Rental, Tour Desk, Fax/Photocopying. Restaurant, Bar, 24-Hour Front Desk, Newspapers, Garden, Terrace, Non-Smoking Rooms, Family Rooms, Elevator, Safety Deposit Box, Heating, Luggage Storage, Shops in Hotel, Gay Friendly, Airconditioning, Designated Smoking Area. Tennis Court, Sauna, Fitness Centre, Solarium, Spa & Wellness Centre, Massage, Billiards, Table Tennis, Jacuzzi, Library, Hiking, Turkish/Steam Bath, Hammam, Indoor Swimming Pool, Outdoor Swimming Pool. Wireless internet is available in the entire hotel and costs EUR 12.00 per 24 hours.